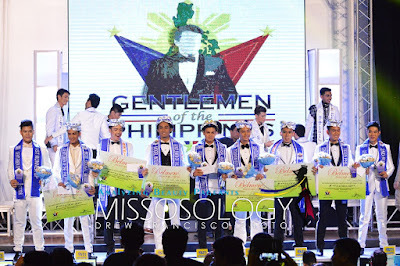 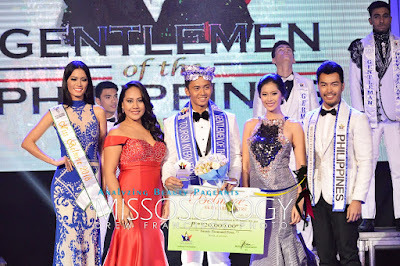 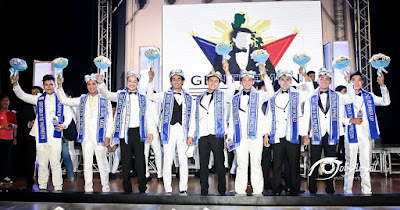 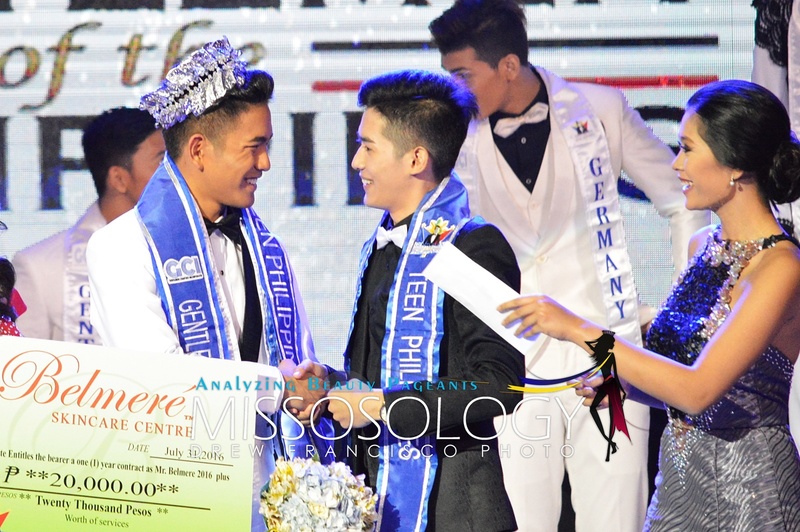 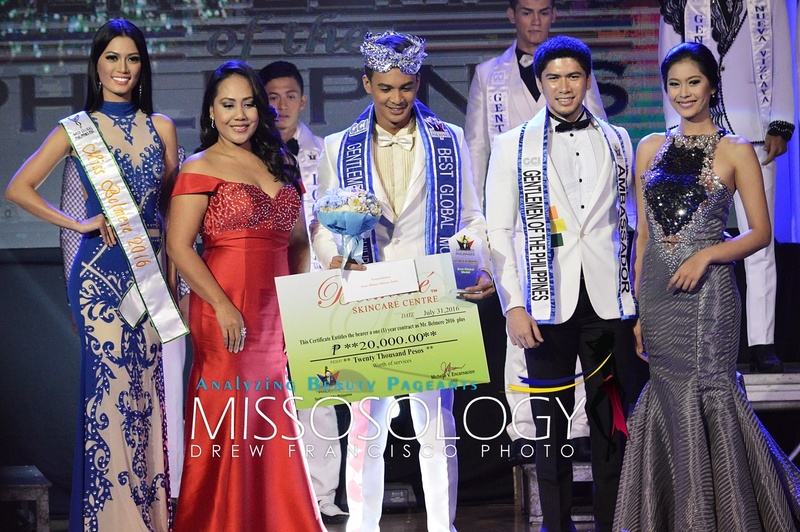 The first edition of Gentlemen of the Philippines (2016) announced its winners during the grand coronation night held at Trinity University of Asia Theater in Quezon City on July 31, 2016. 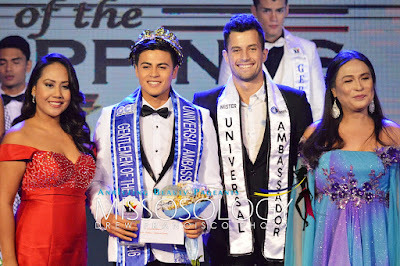 Andrea Biondo of North Italy won Mister Universal Ambassador Philippines 2016. 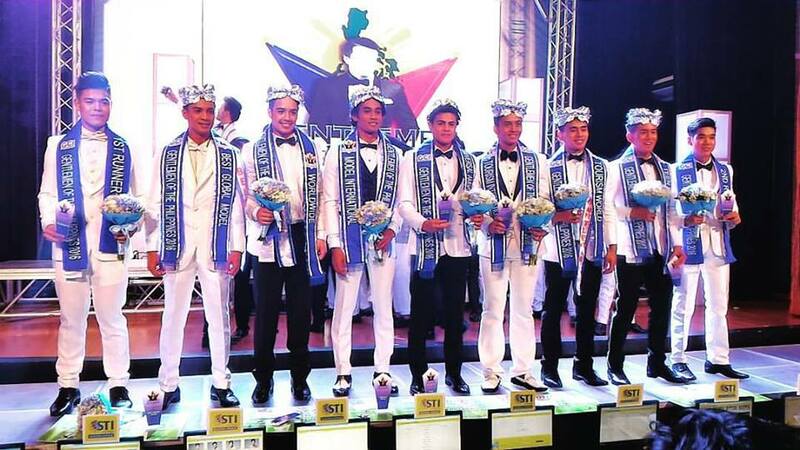 Job Abogado of Camarines Sur was named Mister Model International Philippines 2016, while Paul Renzo Velo of London, UK bagged the Mister Tourism International Philippines 2016 title. 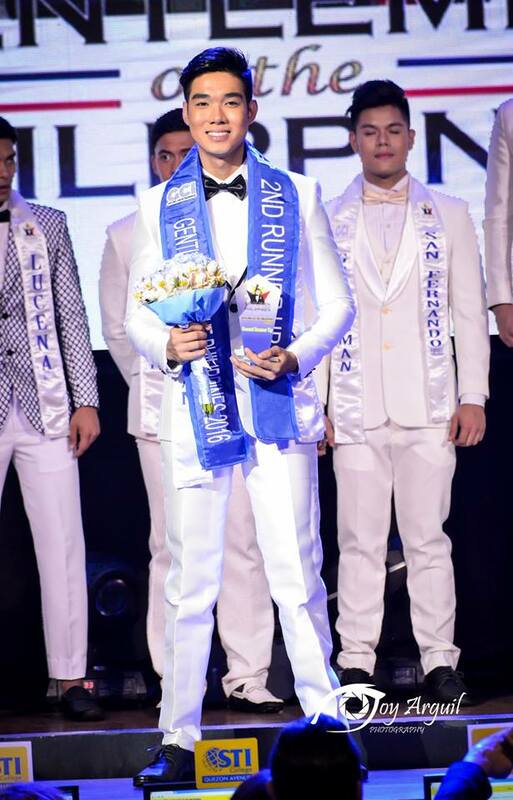 Jason Martin of Gold Coast, Australia won Mister Worldwide Philippines 2016. Martin also bagged 2 special awards: Best in Congeniality and Best in Advocacy Speech. 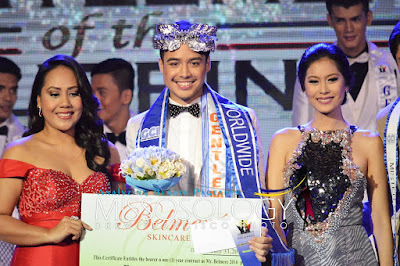 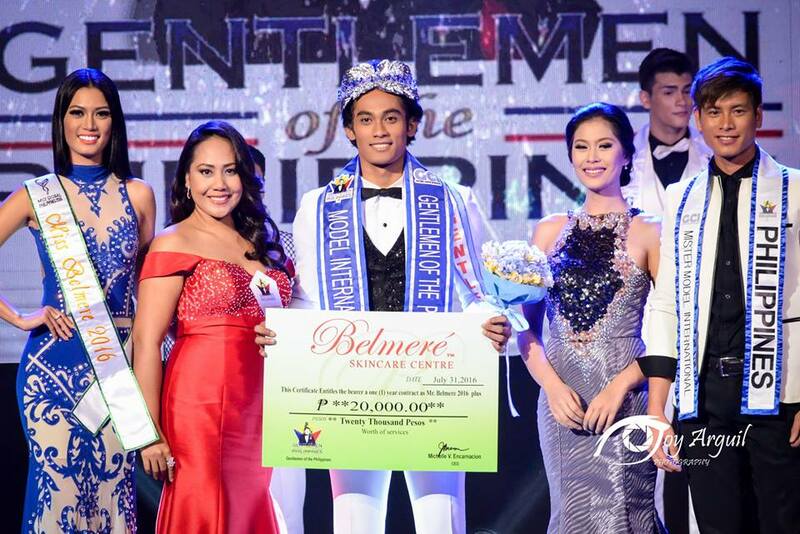 Kian Sumague of San Pablo, Laguna, who was chosen as Mister DermaWorld, clinched the Mister Tourism World 2016 title. 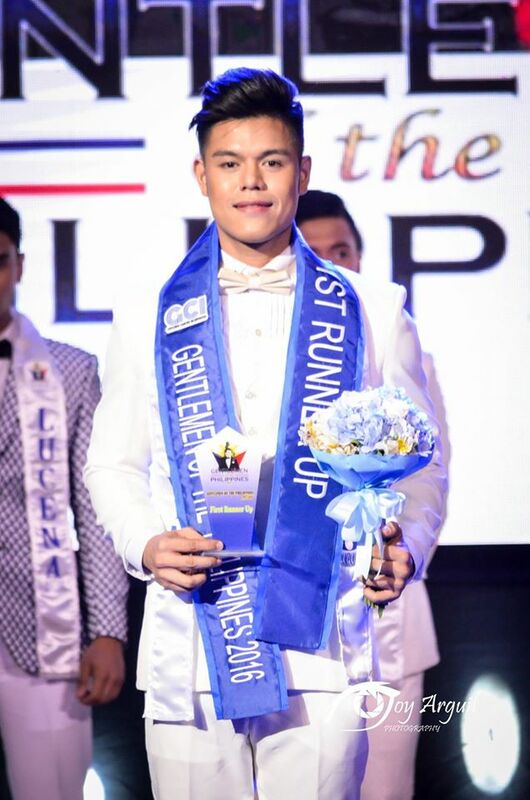 Christian Lumasag of Cebu City won Mister Global Model Philippines 2016, while Mark Joshua Marquez of South Italy was declared Mister Teen International Philippines 2016. First runner-up spot went to Miguel Alexis Maliwat of San Fernando, Pampanga, while Rex Peter Calimbayan of Tagbilaran City won as Second runner-up. 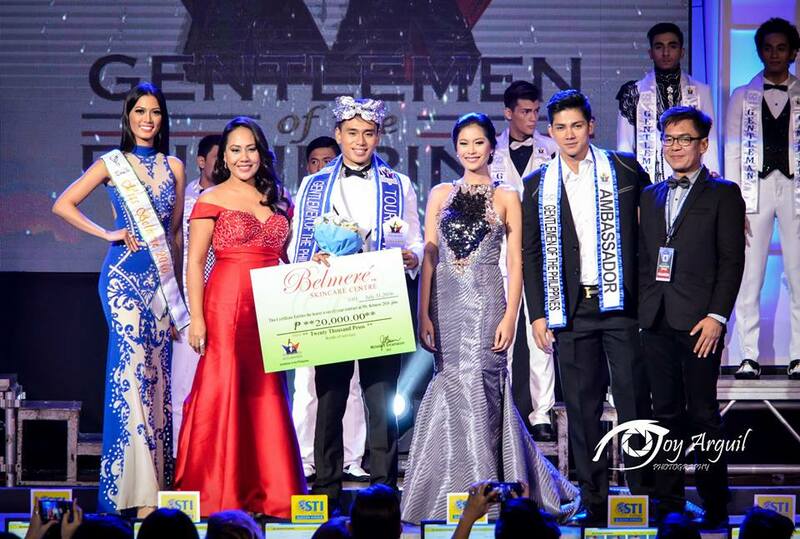 The Board of Judges were: Miss Tourism Queen of the Year International 2015 Leren Mae Bautista, Mister Universal Ambassador 2015 Christian Ortiz, Domz Ramos of Pegarro Swim, Michelle Encarnacion of Belmere Skin Care, Designer Ulysses King, Fashion Director Audie Espino, Doc Charlie Mendez of DermaWorld, Jaylo Pizzara of JOP/Galaxy Events Management, Mister Teen Gentlemen of the Philippines Mark Spencer de Leon Abadilla, Jaime Acosta of Psalmstre New Placenta, and Jojo Bragais. Photo Credits: Drew Francisco (Missosology) and Joy Arguil.